Dec 11th 2001 Vampire Warrior def. Luna Vachon "Black Wedding"
Dec 9th 2001 Vampire Warrior def. Luna Vachon "Black Wedding"
Dec 8th 2001 Vampire Warrior def. Luna Vachon "Black Wedding"
Dec 1st 2001 Vampire Warrior def. Luna Vachon "Black Wedding"
Nov 28th 2001 Vampire Warrior def. Luna Vachon "Black Wedding"
Nov 27th 2001 Vampire Warrior def. 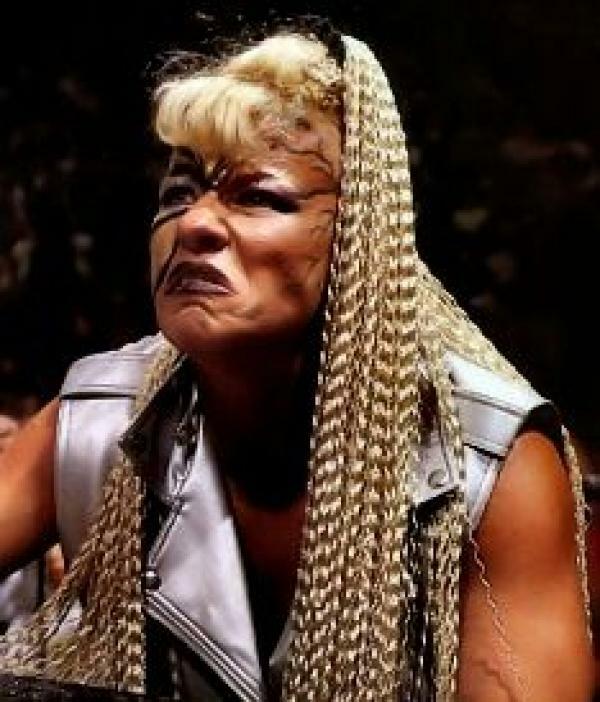 Luna Vachon "Black Wedding"
Oct 26th 2001 Vampire Warrior def. (pin) Luna Vachon "Black Wedding"
Apr 26th 1998 Luna Vachon def. Sable "Evening Gown"